This shoot was the biggest highlight for 2018 and you will see why in all these photos. I owe it to Monica from Red Bloom Photography for referring this one. 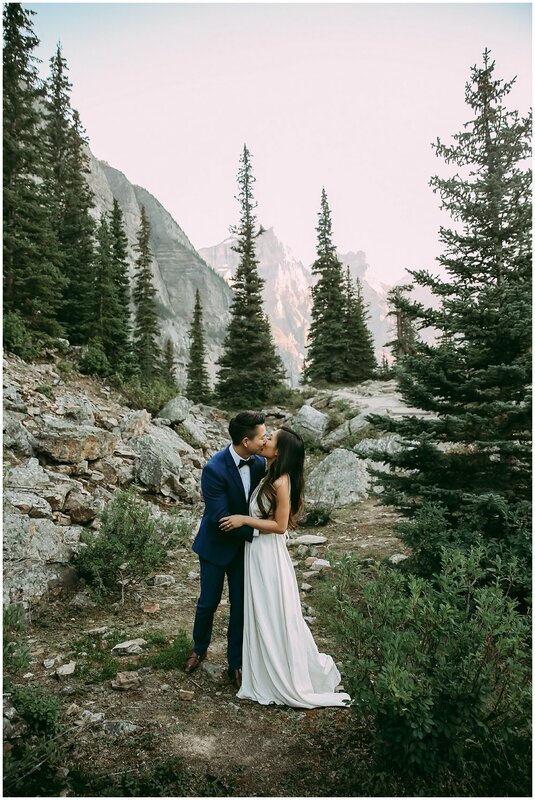 It was right up my alley, gorgeous couple, STUNNING backdrop of Moraine Lake and Lake Louise.. what more could you want? 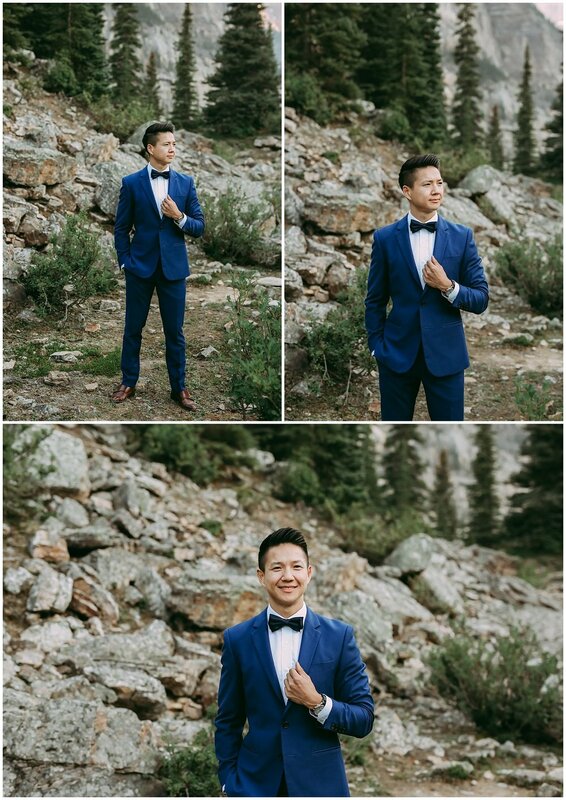 rnold contacted me a few months prior as they were travelling down to Canada and hoping for some pre wedding photos. 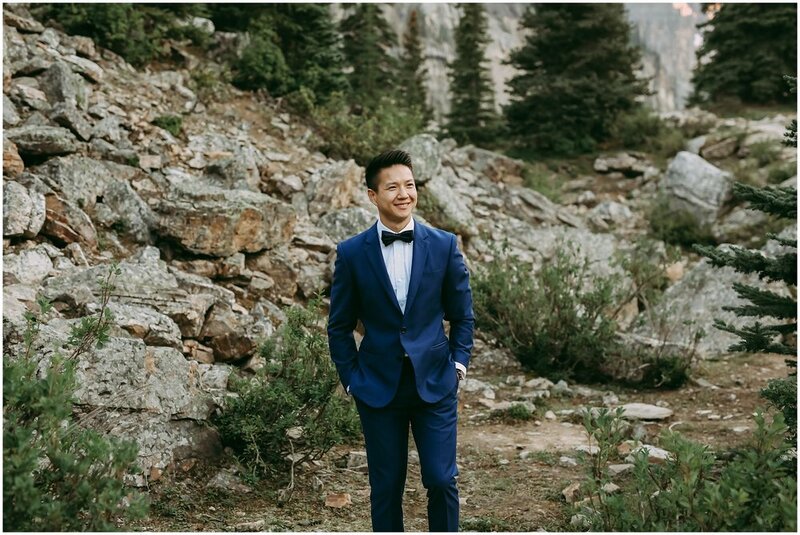 When they showed up at Lake Louise, I was awe struck. 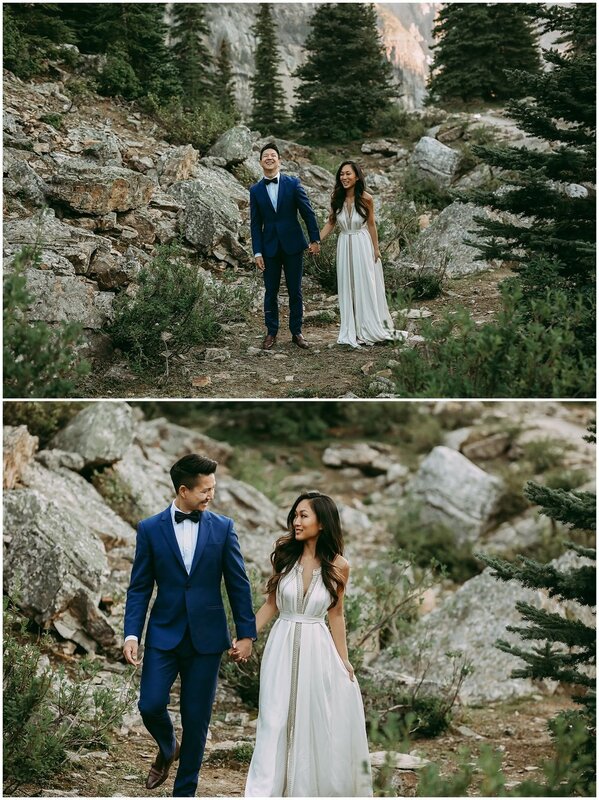 Her dress was insanely stunning and Arnold was rocking the most classy navy suit. Of course, it was high tourist season and the walkways + water was flooded with tourists walking and canoeing. But that didn’t stop us from taking over and adventuring! The above photo was the last shot I took of the day, we were all pretty tired but I thought “why not, let’s just throw you on a floating log for the ending!” And there you have it, one of my favourite shots. So grateful for these two and trusting me to capture these images. Here’s all the sneak peaks.. ENJOY! And Moraine Lake photos … Sigh My heart will forever be in Moraine Lake..